The latest version of the Thameslink train timetable is working, according to the new chief executive of Govia Thameslink Railway (GTR). The company said that there had been “a positive start to the introduction of the new interim Thameslink and Great Northern timetable this week”. GTR also runs Southern and Gatwick Express services. The company said: “The new schedules have delivered a more stable, resilient and reliable service. “Some 200 extra trains are now running each weekday across the network compared to the period prior to the introduction of the May timetable. The wholesale timetable change in May has been widely criticised and an amended timetable aimed at improving the situation also attracted considerable criticism. 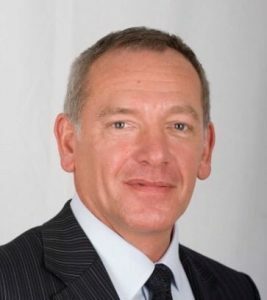 GTR chief executive Charles Horton was summoned to appear before MPs and later resigned. The new GTR chief executive Patrick Verwer said: “My priority is to ensure passengers have the punctual service they are promised – and the new interim timetable is starting to achieve that. Season ticket holders affected by disruption since the May timetable was introduced will be able to claim special industry compensation, GTR said. 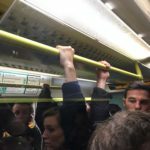 Last night Brighton and Hove City Council passed a motion requesting that council chief executive Geoff raw write to Transport Secretary Chris Grayling “to urge the government to strip GTR of its Thameslink and Southern franchises, bring these into transparent and accountable public hands and take immediate steps to restore services, reduce overcrowding and improve reliability”. If you cancel 200 trains a day even Thameslink should improve a little but, one day last week, 8 out of the next scheduled 11 trains were cancelled. If that is a service to be proud of, perhaps Mr Verwer could give me the telephone number for his supplier of hallucinogenic drugs?